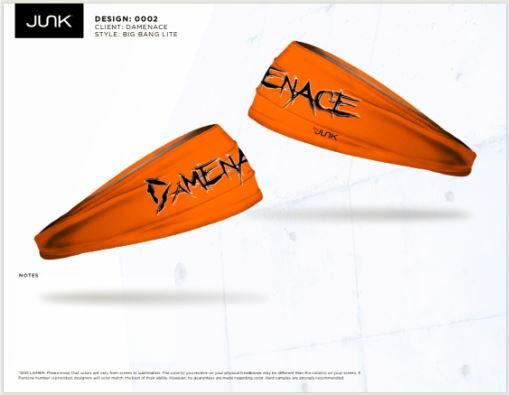 Greek Peak New York Spartan Winter Sprint – 3/9/19 – Danny "Da MENACE"
For a lot of racers on the east coast, this weekend was the beginning of the 2019 OCR season. Also this is the only Winter Race that Spartan Race has in the United States. So if you were looking to earn that sweet Winter medal, this was your only shot! The challenge with this race is not really the elevation, but the elements. Previous years the temperature has been below zero, as well as some high mileage winds. The race itself is held on the Greek Peak resort. Vip parking is right on the resort location, so it’s a quick short walk into the resort. Regular parking is down the road and about a 15 minute shuttle ride. Because of the time of year, there is still active skiing and snowboarding. The way the venue was setup, the racers and skiers were in some locations at the same time, so it did get busy and congested. Also the inside of the resort was available to everyone, so it was a nice way to get warmed up, as well as change your gear and get some food. The venue points were all clearly marked and easy to find. They also had signs pointing you towards merch and registration. Everything seemed to move much quicker than previous years, which was a nice change. Tried to sign up for another lap at the same time I was picking up my Age Group registration. I was told I had to finish my first lap before I could register for a 2nd one. Don’t have an issue with this, but it is kind of annoying having to go back and forth. They offer multi-laps for season pass holders as an incentive, so I wish they would find a way to make that process smoother. Parking and bag check were also much quicker now that you prepay for it. With bag check they basically just hand you two wristbands, you put one on the bag and one on your wrist, then hang the bag up yourself. Nice and quick and no waiting around. Also they had some pretty cool ice sculptures on the patio that you could take pictures with and get a good backdrop of the view. The course itself was challenging, but not crazy difficult. The first run up the hill was a good chunk of elevation and did its job separating the better runners from the slower ones. There was lots of volunteers on the course and despite the cold they were in pretty good spirits. I didn’t notice how many cameras there were, because I only failed one obstacle and there was a camera at that one, but I heard from other racers that they saw several. It was nice getting fresh sandbags for the sandbag carry, especially since it was so long. Also there were fresh new wooden walls. In fact all the walls looked brand new, probably because the old ones had Reebok logos on them. The were brown, instead of the typical Spartan black, curious if that will be the new standard. The finish line was down the bottom of a steep hill so it was exciting for people to see racers sprinting down the final stretch. I’m sure it also created some great photo moments. I did have a few issues with the way the course was setup. First, the race was billed as 3.7 miles by the announcer, but you don’t even get to the first obstacle till you pass the one mile marker. No idea why they did that, but it made the first quarter of the race feel like a trail run. Then you would come up to spots where there’s 3 obstacles almost right on top of each other. Seems like they could have been spaced out a little better. As in previous years winter races, there was none of the more exciting obstacles like Twister or Olympus, and not a single on of the 6 New obstacles. Which is a huge bummer, especially for people who might only do 2-3 races a year. If you’re looking to do any of those obstacles, sign up for a different venue. Also, if you are debating coming to spectate, again pick a different venue. There was only the Slip wall, Fire jump, and A frame in the festival area. If you went for a little walk you could see the spear throw. None of those are exciting obstacles, better to save your money for a different race venue. Lastly, they ran out of winter medals and winter shirts to give racers. This CAN NOT happen. This is the lone Winter race, so people come into it expecting to get those 2 specific items. Not having enough is unacceptable. If you’re looking to try a winter race and want that winter medal, well this is your only option in the United States. It was a good fun race, but no single point really stands out. If you are limited to the races you can do, I would say pass on this one, because you’ll get a better variety of obstacles at other Spartan races. As always, thanks for reading. Any questions or comments, feel free to message me! Previous Is prize money good for OCR as a business?